Food, daily essentials, school supplies, clothing, hygiene items and pastoral care to Christians trapped in slum areas of Bangkok, Cairo, and Bangladesh. Skill training and tools for blind and disabled Christians in Bangladesh. Bibles, food, cooking supplies, warm blankets, and audio Bibles for Christians in the brickyards of Pakistan, where entire families are forced to work long grueling hours--day after day, year after year--making bricks in a hopeless effort to repay debts owed to Muslim creditors. Seminary-level training sessions, bikes and motorcycles for pastors. Food and blankets to Christians during harsh cold spells and flooding in Bangladesh. Maternity and newborn emergency aid for destitute pastors' families. Bibles, rice, medicines, and short-wave radios are smuggled into North Korea. Radio broadcasts of Bible readings and teachings deliver the good new of Jesus Christ into the totalitarian, isolated dictatorship. Medical supplies and resources for Iraqi and Syrian Christian refugees. Churches are targets for bombings and armed attacks. CFI provides security cameras and monitoring systems to detect approaching danger. Christians fleeing persecution in their country become refugees seeking asylum in another. Some live in UN refugee camps. Some, like in the Middle East, find UN camps infiltrated with persecutors and instead live in abandoned buildings. Others hide in cities as “urban refugees”. 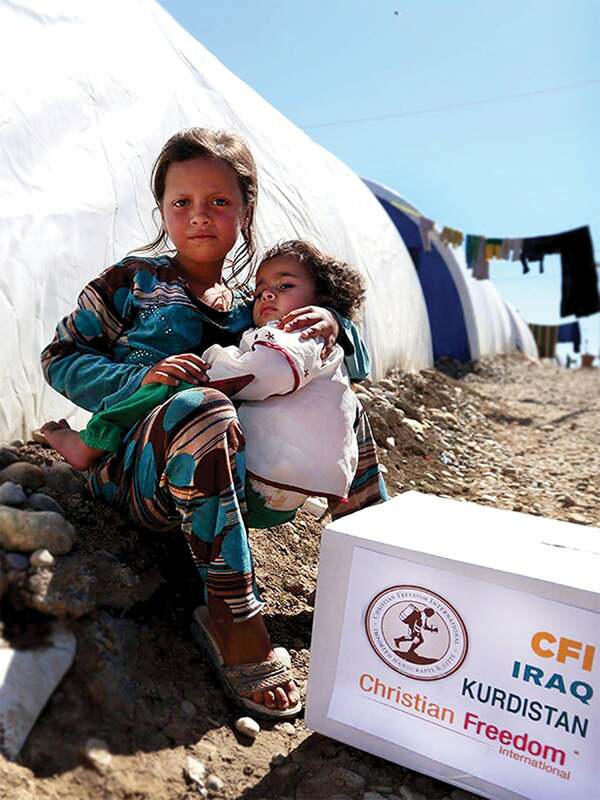 CFI has provided crucial assistance, such as schools for children in refugee camps and for urban refugees, Bible and vocational training, food and supplies, rent and medical attention, and micro-enterprise jobs. Just as important, we pray with them and connect them to other Christians for sponsorships and encouragement. Millions of people throughout the world suffer unspeakable hardships because of their faith in Jesus Christ. Yet many people are unaware of the cruel conditions endured by Christians. Legislation: CFI networks in Washington, DC, with key government officials for strategic legislation and U.S. diplomacy. Petition Campaigns. CFI launches petitions to alert and pressure decision-makers and officials. Festivals and Conferences. CFI shares the news of persecuted Christians at festivals and conferences, along with ways for people to help. News. CFI’s e-mails and newsletters keeps readers aware of timely news on persecuted Christians – which is not covered by the mainstream media – and equips you to pray. Prayer Calendar. CFI’s releases a Prayer Calendar each year to remind us daily to pray for persecuted brothers and sisters. International Day of Prayer. CFI provides kits for you and your church to observe the International Day of Prayer, the second Sunday in November, including items for kids.